Banbury captain Lloyd Sabin will be looking to end what, at times, has been a frustrating season on a high note. 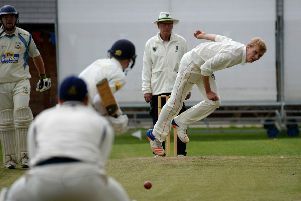 Sabin’s side sign off their Home Counties Premier Cricket League year at Finchampstead on Saturday. Banbury’s disappointing end to the division one campaign continued as they lost to rivals Oxford. Already relegated, Oxford showed some fighting spirit to beat Banbury by six wickets in Saturday’s fixture at White Post Road. 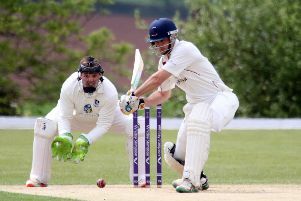 Sabin said: “Although we were missing some key players, we didn’t play very well, either with the bat or ball. “It was hard to get going with the game being a dead rubber but the players didn’t have the right attitude. Some players seem to have lost the motivation but we’ve got a big squad now so they need to perform at Finchampstead with a view to next season. “It’s been frustrating season, we got off to a slow start but we’ve played some really good cricket at times, especially in the longer format without getting the results. Had we picked up wins in those games we could have been in with a chance of challenging for the title.